We do not customize our envelopes. Sorry for any inconvenience this may cause. They are about 1 mil thick. Would it be possible to purchase only one of these sleeves as a sample? Hello, JAM has an official samples policy listed on our website. I have posted a link to this page below. http://www.jampaper.com/Product-Samples.asp Hope this helps. Thanks! Would I be able to purchase a sample? If it works for our application, I would be ordering 9000. Hi Chris. Do you have a UPS or fedex number? If so, we can ship you one for free. Please contact us via the form on our &quot;Contact Us&quot; page for more information. Thanks! Due to the popularity of our Cello Sleeve Envelopes, we have now introduced a product for all of you who despise flaps - the Clear Cello Sleeves with NO FLAP! These are exactly the same as our Cellophane Sleeves, except they have no flaps or adhesive closures. This allows for quick and easy removal of items. These cellophane sleeves are often used for protecting greeting cards, postcards, photos, and other documents. Tape them up, staple them together, or tie them up with a ribbon and put some candy, candles, or other goodies inside. This will make the perfect goodie bag for any kind of occasion - from the holidays to birthdays to anniversaries. All cellophane sleeves are safe for conservation; acid free and lignen free. 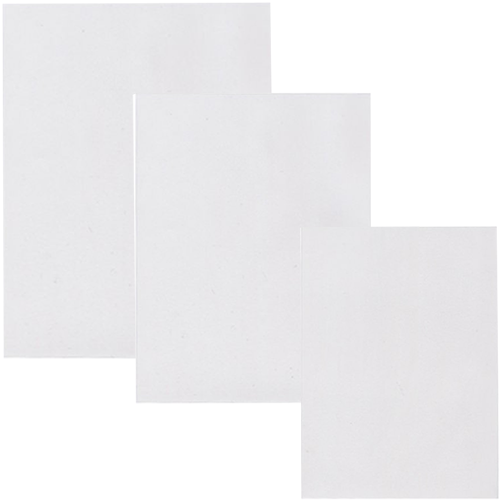 Clear Cello Sleeves with No Flap is available in sizes that fit these envelopes: 4bar, A2, A6, A7, A10, #10, Paper Size. You can see the exact size of the actual cello sleeve under select a size.